We are very pleased to offer our congratulations to Fr. 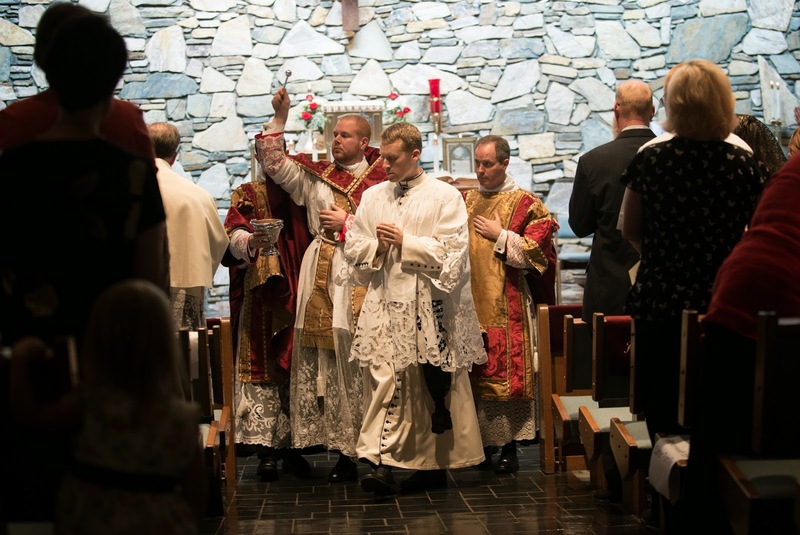 Noah Carter, who was ordained to the priesthood for the Diocese of Charlotte, North Carolina, on June 28th. The following day, the feast of Ss. Peter and Paul, Fr. 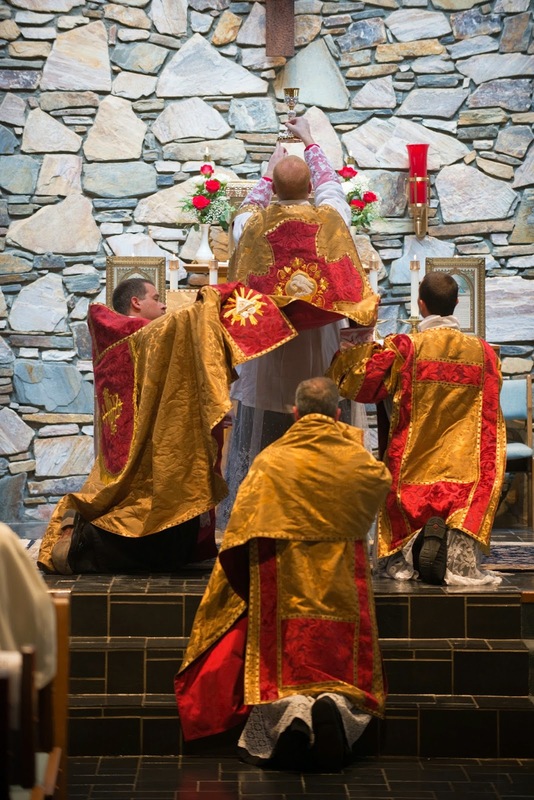 Carter celebrated his first Mass in the Extraordinary Form at his home parish, St Barnabas, in Arden, N.C.; the church was built after Vatican II, and had never had an EF public Mass before. The church was near full and the parishioners were overjoyed at the beauty, reverence, and solemnity of the old rites; the parish choir had rehearsed for close to a year, and sang Byrd’s Mass for 4 voices. The vestments seen in the photographs below were designed by Fr. Carter, who chose both the design and the materials, and executed by Emily Uhl of Altarworthy; on her website you can see other projects she has recently undertaken for first Masses. Here are some photographs of the first Mass; you can see more at enjoyphotos.com, with the username “cartermass”, and the password “13722”. (registration required) All photos courtesy of Whitmeyer Photography.